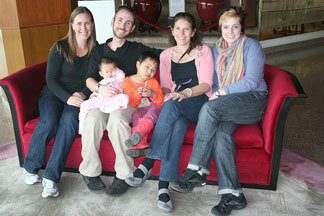 For our last day in Guangzhou, we made sure to take the traditional "red couch" photo. 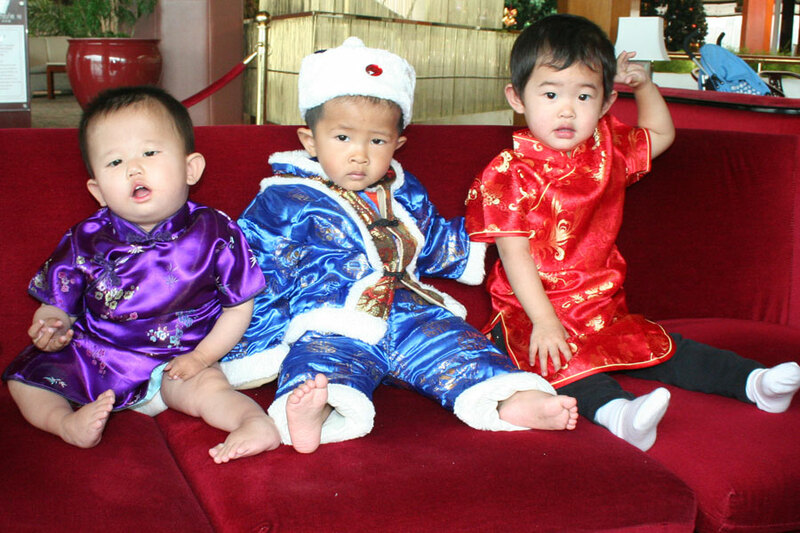 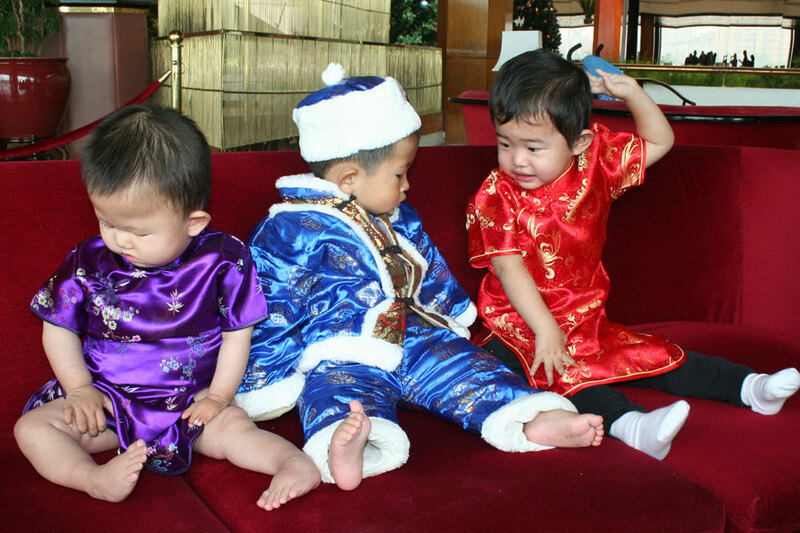 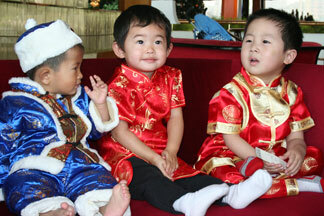 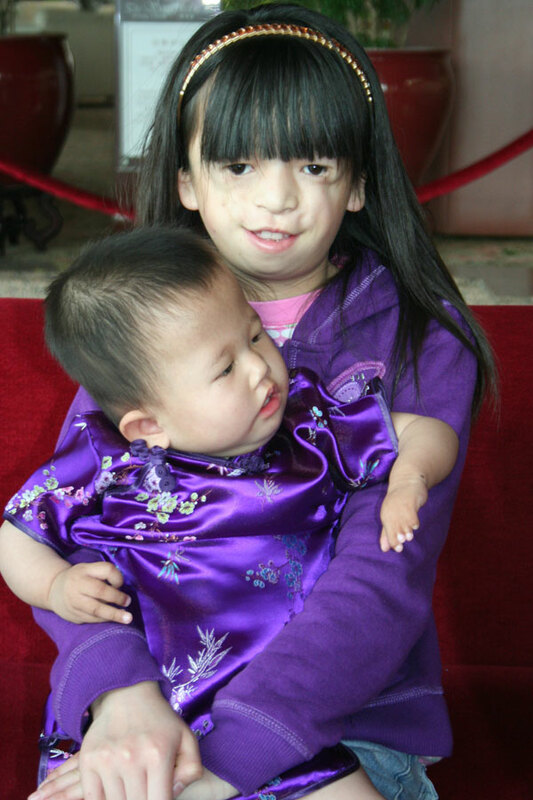 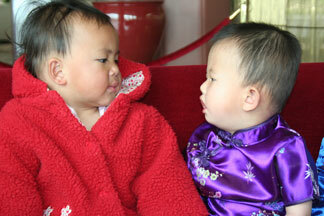 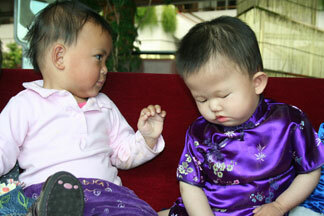 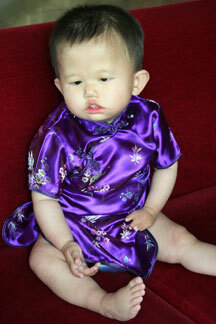 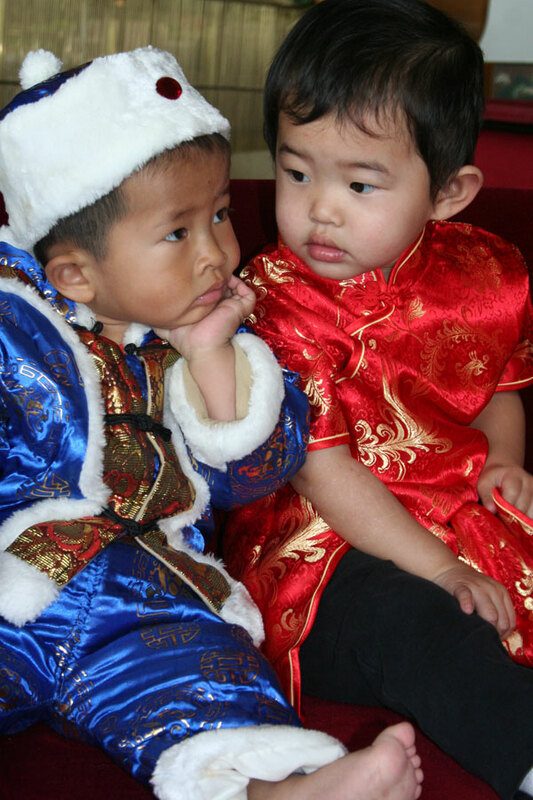 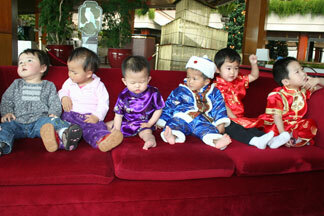 This has been an on-going tradition for adoptive families in China for years and years. It was a fun experience with many of the families we've been traveling with. We also enjoyed a special last dinner with two other families at a locals-only restaurant that we'd only heard about before but had never been able to find (it is extremely far off the beaten path). 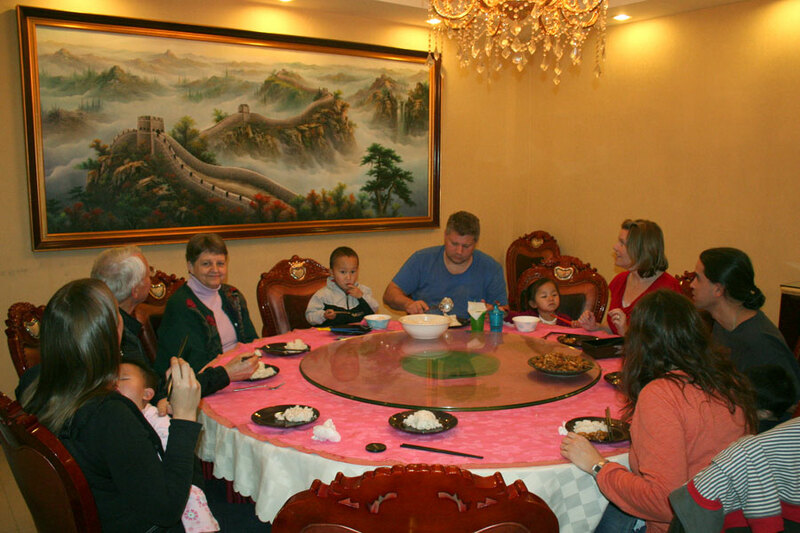 Thanks to the adventurous spirit of the two other dads, we finally managed to get in and order food... which was difficult since no one there spoke English. 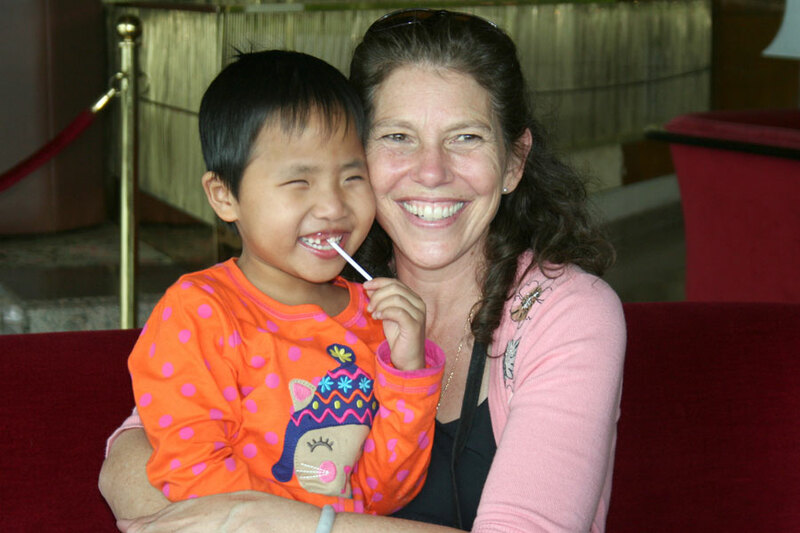 Although the language barrier was tough at first, the food ended up being some of the best we've ever eaten anywhere in the world. 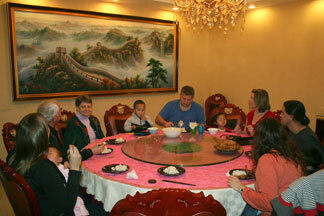 To top it off, we only paid about $20 USD for all 12 of us to get a huge meal! And the other good news is that our visa arrived from the Consulate so we're all ready to leave tomorrow! "What did they dress us up for?" A happy mama and her new girl! 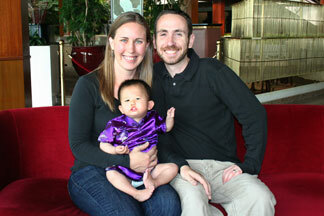 Happy mama, daddy and daughter!